Our drum team building activities are the perfect way to build teams quickly. Anyone can take part, irrespective of their language, culture, fitness level or age. Unlike some alternatives, drumming does not create divisions between team members. All participants listen to each other and work together as a cohesive team. 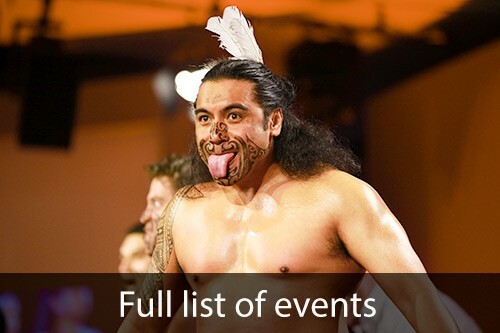 We’ll deliver a unique team building event for you – in any location in the UK or worldwide. Please Contact Us now. Early man used rudimentary objects to create rhythm within tribal communities. Drums in their earliest forms were used for team building. For tens of thousands of years, people have drummed together as a group as a prelude to many kinds of decision making. 40,000 years later, we are now uncovering the many benefits of group music making for team building within an organisational context. We offer you the most up-to-date and progressive form of this type of high-performance team activity, designed to build teams quickly and effectively. 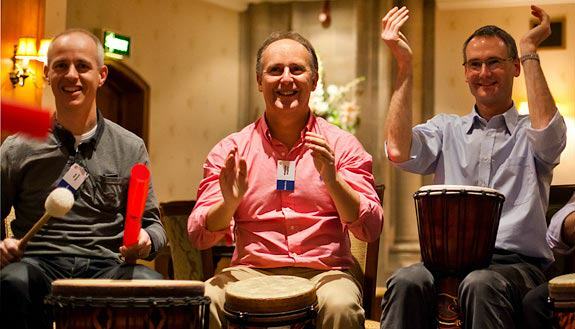 Drumming is now widely recognised by experts as one of the most effective and inclusive team building options available. Compared with many other tools and techniques, drumming can deliver disproportionate benefits relative to its duration and cost. A fantastic group activity. Drumming is a great group activity that allows participants to break free from traditional organisational hierarchies. Drumming puts all team members on an equal footing. Each person’s contribution is recognised. Inclusion. Anyone and everyone can have a go, irrespective of culture, language, age or fitness level. Lack of competition. Unlike many activities that encourage competition, drumming does not create divisions between participants. Stress release. Drumming releases natural endorphins and the creative process of drumming enables people to relax. Listening skills development. Drumming requires that participants listen to each other. Everyone has to work together as a cohesive team. We promise you and your participants a memorable and fun experience. Most people that have participated in one of our sessions have reported the event stays with them for a long time. Want to see a real event? We have filmed a real drum team building session to show you what a typical session looks like. To watch the video, just click on the play button below. 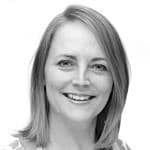 As you want to create something unique for your team, we pride ourselves in being flexible to your requirements. 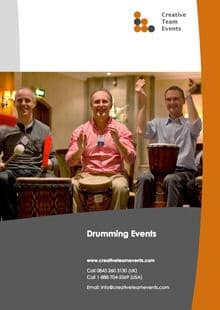 After having delivered thousands of drum team building events with tens of thousands of participants worldwide, we’re happy to share the lessons that we have learnt, to make your own event an even greater success. to suit any duration from 30 minutes to a whole day. We have many different formats, give-aways and surprises to allow you to create a totally unique event. So, lift the roof and lift the spirits of your next company event! Please download our brochure (in PDF format), which provides further information about our drumming options.